Released across Tamil Nadu today, Iruttu Araiyil Murattu Kuthu directed by Santhosh P. Jayakumar under the Blue Ghost Pictures banner with music by Balamurali Balu has taken a solid opening at the box office. An adult horror comedy, Iruttu Araiyil Murattu Kuthu stars Gautham Karthik, Vaibhavi Shandilya, Yaashika Aanand and Chandrika Ravi as a ghost alongside Shah Ra, Karunakaran, 'Motta' Rajendran, Bala Saravanan and John Vijay in vital supporting roles. 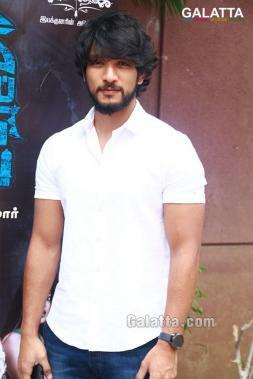 Gautham Karthik had recently spoken about his decision to be part of IAMK saying he wanted to do a film that had to offer in terms of content at a time especially when the Tamil film industry is deprived of something new. He further went on to state when an opportunity comes knocking at one’s door, the smart thing would be to seize it which will only encourage others to prove their creativity and versatility as well. Iruttu Araiyil Murattu Kuthu certainly has struck a chord with fans after the release of the film’s promotional material.